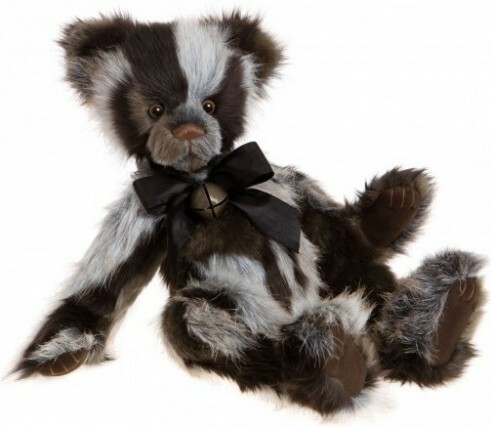 Emil teddy bear has a fabulous coat made from a plush with shades of grey, brown and black, with a variety of texture too. He has rich, walnut brown paw pads, and a glossy, hand-stitched nose to match. He is perfectly accessorised with a big satin bow and chunky bell. Emil is a fully jointed plush teddy bear from the Charlie Bears 2016 Collection.